SMSC and British Values. Our unique approach. 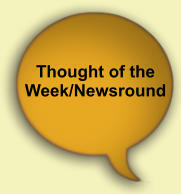 All form groups complete a fortnightly Newsround activity looking at a topic news item. This news item is developed by the Student Leadership Team and links with the British Values and our school Values. Year leaders deliver a programme of assemblies linked to British Values. Assemblies also include motivational and inspiration videos and stories. At our school we promote respect and resilience to provide inspirational experiences. This offers the opportunity to RISE and make excellence a reality. 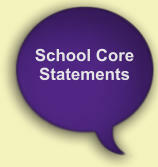 Our mission statement was produced by a working part of SLT, governors and the student leadership team. 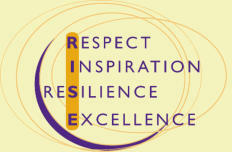 Our new logo and mission statement linking our 4 core values as a school: Respect, Inspiration, Resilience and Excellence. Links to our whole school reward system and pupils have chosen their own values. As a school we offer a huge variety and range of educational visits to support the needs of our pupils. Recent Educational Visits include a visit to the Laing gallery in Newcastle linking Art/literacy and an RE visit to a Jewish Museum and Westminster Abbey in London to compare beliefs in modern Britain. Our school has developed 3 core statements that encompass the values and attributes of all staff and pupils at Bishop Barrington. Be The Difference, Create History, Inspire the Future. 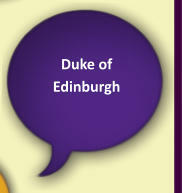 These will be high profile across the school and referred to in assemblies, form time and lessons. 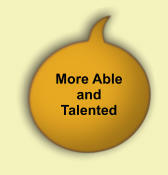 Our innovative on-line rewards system rewarding pupils for demonstrating our new core values in school and beyond. 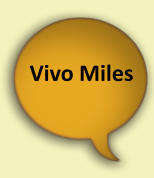 Parents have access to pupil’s Vivo accounts and can see why the pupils have been rewarded. Links excellently with our marking policy and attendance drives. As a community school we work extremely closely with local charities and community groups. Our student council votes each term for a new "school charity". All fundraising that term will go to this deserving cause. Our students play a large role in supporting the local community. Our students have helped with our annual Age UK dinner and also students volunteer and support local sports clubs and voluntary organisations. Some of our education visits are aimed directly at our MAT pupils. For example, a History MAT visit to Durham Cathedral for Holocaust Memorial Day and our talented PE students receiving a masterclass at Loughborough University. Every Christmas we host a lunch for our local community Age UK members. We now link directly with Age UK to organise afternoon tea session for the local community, also linking in with our pupils and local services including health. 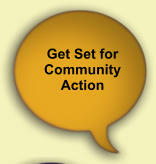 As part of our partnership with the Youth Sport Trust, we are supporting the Get Set for Community Action programme. This looks at training up young people to deliver community based projects around the Rio 2016 Olympics. Working with the National Association of Able Children in Education, we are supporting our MAT pupils with stress management and time planning workshops. The students are also part of websites and forums linking MAT pupils across the country/world e.g IGGY. As a school, we have been awarded the Intermediate Level International School Award. This is recognition for our outstanding international work, including the Connecting Classrooms cultural exchange with our partner school in Nepal. Members of staff at the school have completed the PREVENT on-line training to keep all of our pupils safe and promote understanding of the moral issues around radicalisation. We were praised by Durham Police on our handling of a recent PREVENT issue. The fundamental British values are promote across the school in subject specific areas, within our PD curriculum and within form time and assemblies. Our TOTW booklet covers all the British Values and subjects have been tasked with “digging deeper” into a specific focus area of their subject to promote the British Values. Students have been researching and campaigning for the rights of those who cannot fight for themselves. Students have been campaigning specific case studies of individuals across the world and have had some success in reversing injustice. The Future Business Magnates is a competition ran by Business Durham. The main aim of the competition is to encourage students to become young entrepreneurs. The students learn how to develop business ideas, promote their product, market their product and finance their business through a serious of workshops led by successful business mentors from within County Durham. As well as developing business skills the students develop teambuilding skills, develop decision making skills(and what impact those decisions will have on others)they realise the importance of listening to others and seeking meaningful advice from a variety of sources. We offer a wide-ranging selection of extra- curricular clubs and activities covering a variety of subject areas. 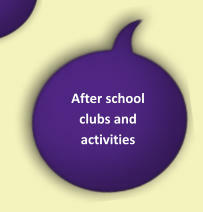 Clubs include numerous sports clubs, science and history clubs, homework club and gardening club. This clubs enhance our SMSC provision by supporting pupils in developing social cohesion. 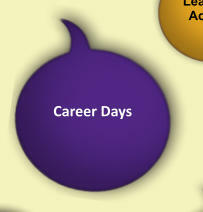 Through our PD programme we host career days for pupils in years 10 and 11. These are a combination of work experience, work placement and visits and talks from work place leaders through STEMnet and other careers based partners. We are being rewarded by DoE for having the largest increase in numbers following the award in our schools history. The number of pupils completing DoE this year has increased from 16 to over 40.